Thanks mtmckenna. I have - definitely high on the TODO list right now as it'll make the game more interesting while you're waiting for human players, and will ensure the game is running how it's supposed to be played (not just single player or with 1-2 others). I was thinking of having say, 5-6 bots in each room that get replaced with humans as they join. What do you think? Thanks Machine-dev :-) 1. Yes - I haven't received a high enough server load to warrant spending the effort hosting sets of rooms on different machines (I'm guessing 50+ players could play concurrently on the one slot I'm using in Azure right now, which is way above the current play rate) 2. Almost everything is computed and kept in sync on both server and client. I use socket.io to send packets back and forth. The only thing that's client-side is movement so that lag is not apparent. 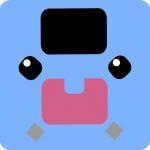 The server will send packets for blocks getting placed, new blocks getting spawned, new players joining/leaving etc. Since it all runs in a single thread it's not too hard to ensure the client executes events in the same order as the server did. How is game.resolution supposed to work? I went for the tracing tool because the DevTools performance tab gives no info about what's causing the GPU usage to be so high. The firefox canvas debugger is the only one that seems to give helpful information (I can see the number of draw calls and what each one of them does). Hi guys, I have a sprite batch containing 250+ 64x64 sprites from a single tileset / spritesheet. I need to apply a filter to the entire batch rather than per-sprite (way too slow!) I seem to only be able to add filters to the stage or single sprites. Anything else seems to do nothing. Is there any way I can do this? My original goal is to create an Overlay filter (Since the overlay blend mode doesn't work in WebGL) and apply it to all the sprites so they mix correctly with what is rendered underneath them. Thanks! Sorry, I don't know what you mean. What files? 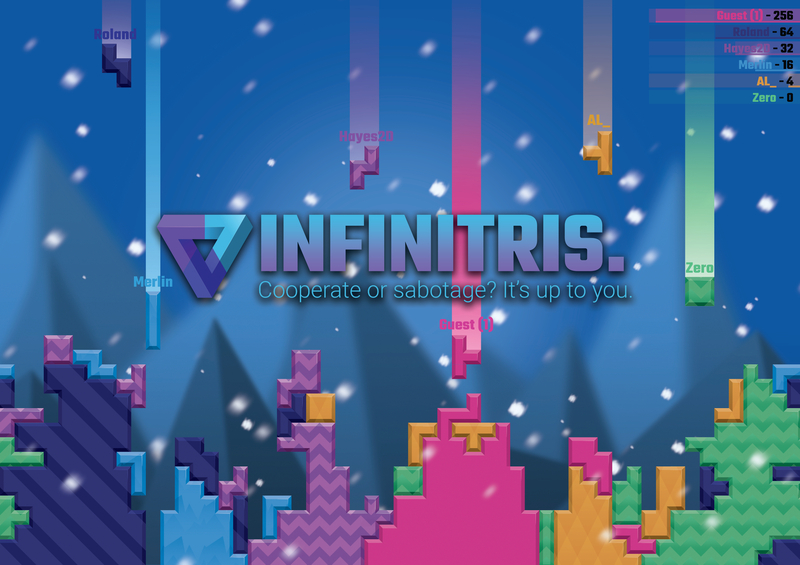 Infinitris 1.2 released! Gameplay video: https://www.youtube.com/watch?v=1srCc4m7tgs Artwork and effects completely redone, plus a whole bunch of improvements and fixes. From: to: More about the release can be read here.